Diagnosis: Stylish! 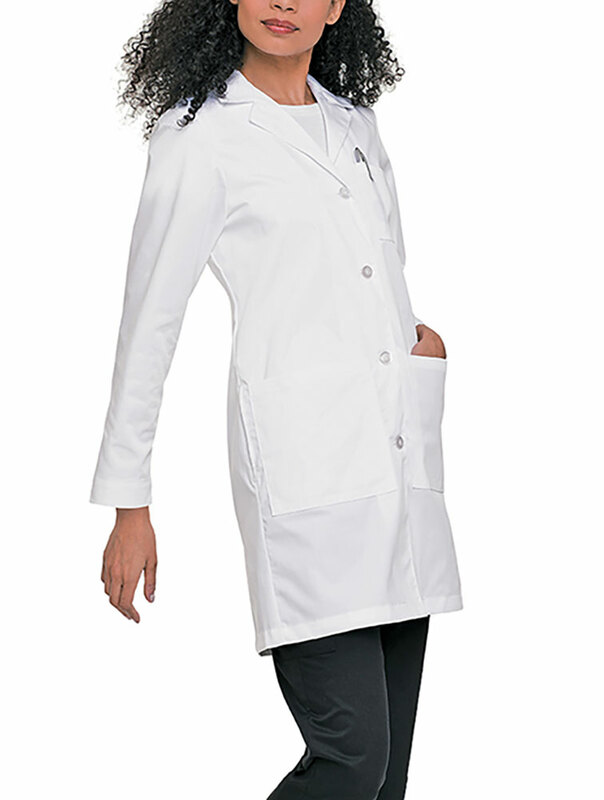 This four button lab coat with side hand access and sewn down back belt features three front pockets and two inside pockets. Length 38” (Size 10).